Ginny McGrath, Times Online Travel News Editor, responds: You will be relieved to know that leaving the airport during your stop-over won’t be a problem. British passport holders don’t need a prior visa and are automatically granted one that is valid for 30 days upon arrival in Sri Lanka. To find accomodation that is conveniently located, you should head for the fishing town of Negombo, a popular tourist spot due to its proximity to the airport. Here you will find a good selection of hotels as well as plenty of restaurants and cafes streched along the beach. If you are looking for comfort and elegance, The Beach hotel is a good choice and you can arrange aiport transfers for around £13. If, on the other hand, you prefer something simpler, try Browns Beach, a hotel set amidst scenic palm groves with a small private beach. If you fancy a traditional spa hotel, Ayurveda Pavillions hotel, a collection of guest villas, have Sri Lankan-style courtyards and Ayurvedic spa treatments. Finally, you can book into the Taj Airport Hotel which, although close to the airport, is surrounded by a beautiful 38-acre coconut plantation and is close to the Negombo lagoon. I am travelling to Singapore at the end of July, with a 24 hour stop-over in Colombo. 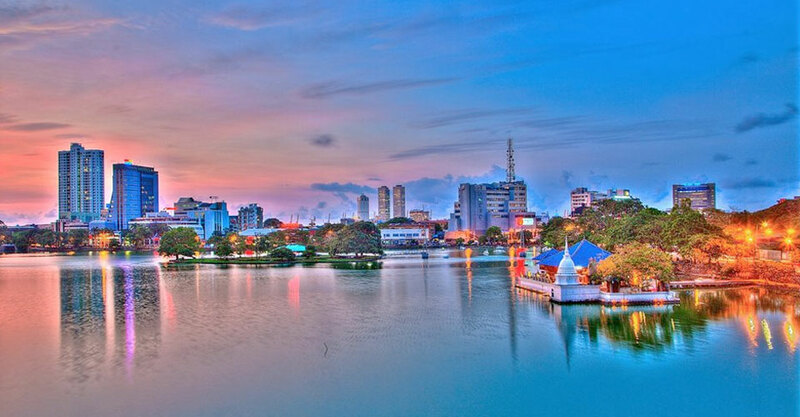 Do you have any suggestions on what to see and do in Colombo, bearing in mind the limited amount of time at my disposal? Ginny McGrath, Times Online Travel News Editor, responds: Sri Lanka’s tumultuous history, under the rule of the Dutch, Portugese and English and the influence of four major religions – Buddhism, Hindusim, Islam and Christianity – means the country’s capital city, Colombo, has a rich cultural heritage. To get a taste of this, you should start off with a tour of Parliament, religious houses and temples, and the Colombo National Museum. If you like shopping, Colombo has global brand name stores like Gap and VIctoria Secret, at a fraction of the UK high street prices, but local purchases are the most interesting. Jewellery in particular is widely sold and semi-precious stones are on the whole good value. The best spot for a sunset drink is either the Grand Oriental Hotel, overlooking the harbour, the Galle Face Hotel, where Royalty have stayed, or the former Governor Barnes residence, now home to the Mount Lavinia Hotel. With dinner approaching there is plenty to choose from in Colombo. Fresh seafood is top of the bill at The Cinnamon Grand in the Lagoon, or for sports fans there’s The Cricket Cafe, which hosts a showcase of cricket memorabilia and dishes named after famous cricketers. The Gallery Cafe is the former home of Sri Lankan architect Geoffrey Bawa. Here, a three course meal with half a bottle of wine costs between £10-15 per person. If your stopover leaves you in town early in the morning, you can watch the sunrise over the 2,000m Adams Peak. Or cool off with a dip off the beach at Mount Lavinia, 30 minutes away from the city centre, or Negombo. Bentota beach is an hour and a half south of Colombo where there are some resorts and seafood restaurants. Alternatively, a treatment at one of the city’s many Ayurvedic spas will help relieve any jet lag. If you are an animal-lover there’s Pinnawela Elephant orphanage, home to over 80 elephants bred in captivity. The best time to visit the orphanage, which is two hours from Colombo, is during feeding hours (9.15 -12.15). But If time is running out you can always visit the Dehiwala Zoo, half hour taxi ride from the city centre. If time allows, there are many day tours from Colombo. Kandy, capital of the Hill Country, three hours away is home to The Temple of Tooth Relic, a UNESCO Heritage Site and the Royal Botanical Gardens. Another popular destination is Galle (two and a half hours away), where you can visit the Dutch Fort, also a UNESCO World Heritage Site and stop off at the turtle Hatchery in Kosgoda.